Home > Blog > Another Happy AllSeated Bride! Nothing makes us happier than hearing from our happy, satisfied users. We are proud to share with you the wedding details from another happy AllSeated bride this month as part of our Bridal Spotlight series! This month’s AllSeated Bridal Spotlight belongs to Hannah. 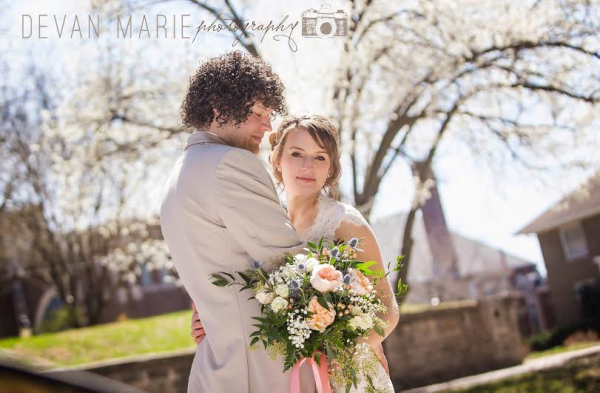 Hannah and Jeremy were recently married in Iowa. Hannah is a healthy living blogger who shares healthy recipes and smart eating tips with her readers on a regular basis. 1. I absolutely loved being able to arrange all of the tables and elements of our reception venue to-scale. 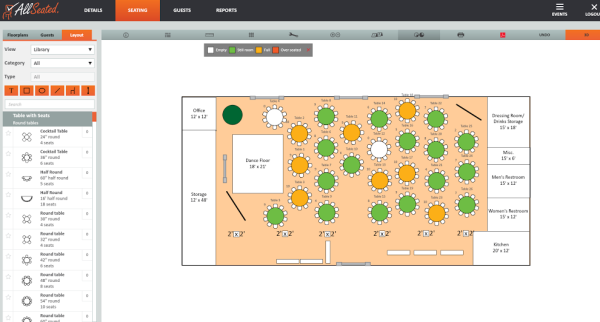 Doing so made it easy for me to see how many tables we would be able to fit and where we would place them in the event space. 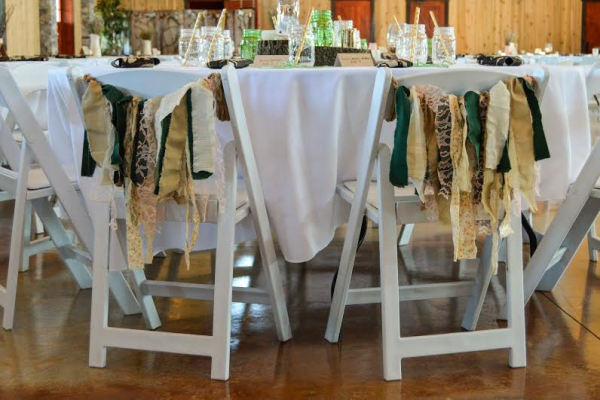 Being able to arrange the tables and various elements of our reception gave me the confidence that the vision I had in mind would actually work in real life for our wedding day. 2. AllSeated made it incredibly easy to place our guests at the appropriate tables. It also made it a breeze to rearrange tables, when needed. I originally thought that the concept of assigned seating would be a difficult task, but with a bit of time, it came together rather easily. 3. AllSeated made sharing my floorplan and seating chart with our venue coordinator exceptionally easy. It was also great to be able to quickly gather a printed list of guest names and seat locations in case any of the place cards were lost. If you would like your wedding to be featured in an AllSeated bridal spotlight post, we would love to have you! 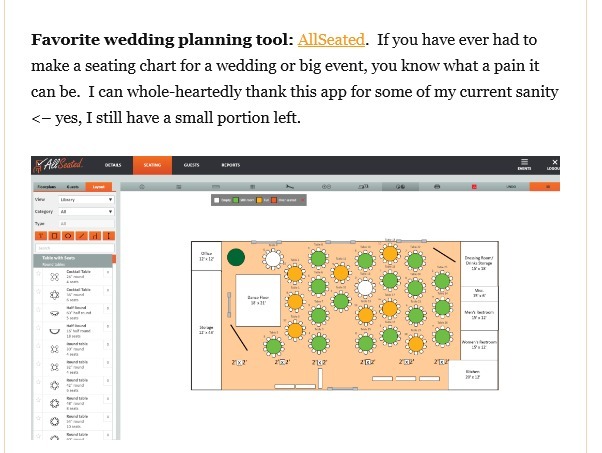 Please email Emily@AllSeated.com to get started.